Over the past twelve months I have been on countless trips around the world, staying in some of the most superb hotels in existence. Yup, that's a bragging statement, through and through. 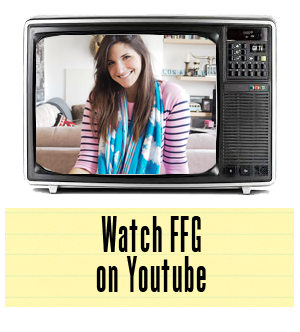 I simply cannot believe this is my life. There's no sugar coating that or attempting to make myself sound cool and as if this isn't all thrilling to me. It is! Every single plane ride, hotel check in and room discovery is a pinch me moment. However, there is one element of my hotel experiences that has stuck out above all else in 2017 - the bathtubs. Alright, I'm sure you are probably thinking I'm mad. I was in places like the Serengeti, Prague, Switzerland and Paris and I'm banging on about a bunch of bathtubs? 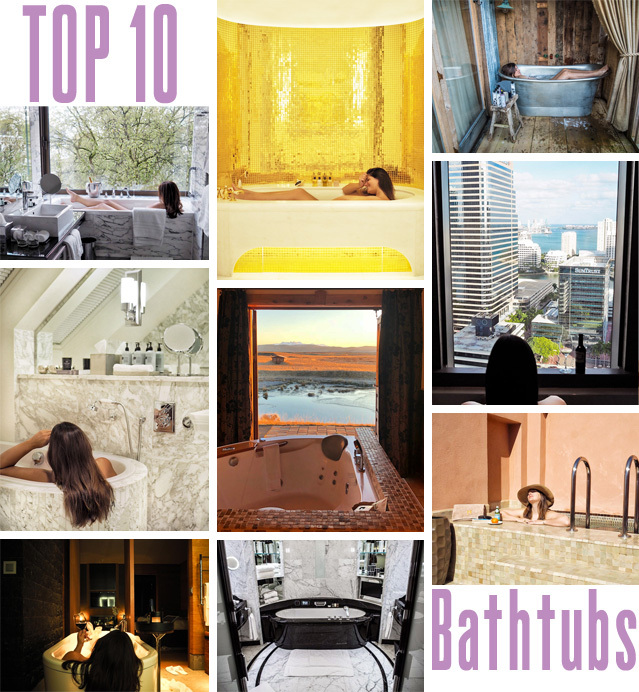 Don't adjust your screen....I am waxing lyrical here about the world's best bathtubs. 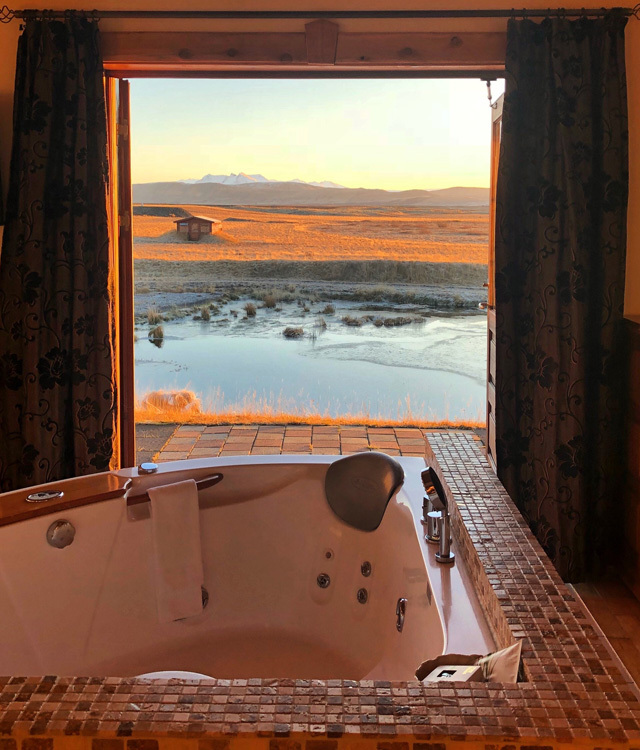 After staying in over three dozen hotels around the globe in 2017, I'm bringing you ten hotel bathtubs that truly blew my mind. Whether we are talking about the tubs themselves (one had 24k gold tiling) or a tub's most unusual location (outside over looking a stream? 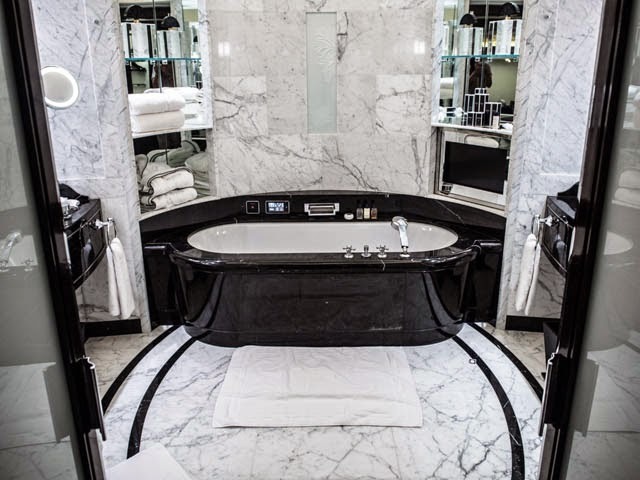 ), each of these hotel bathtubs are completely unique to their location and worthy of a bright spotlight. 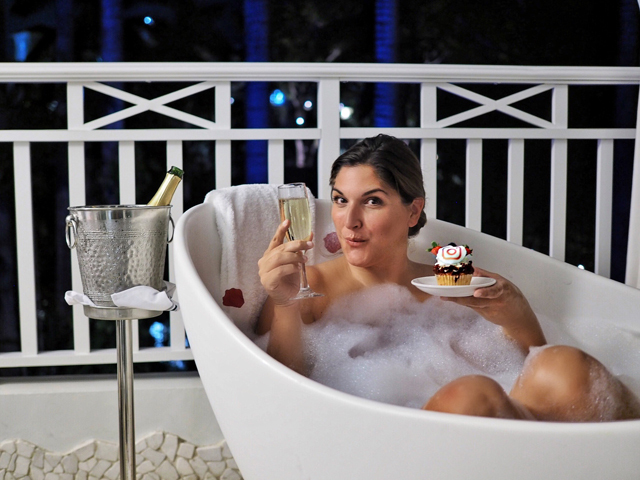 If you are looking to soak for your holiday abroad, look no further than these top ten hotels with some serious bathtub goals.... And yes, that's me in most of the pictures testing them out. Had to prove I was there, didn't I?